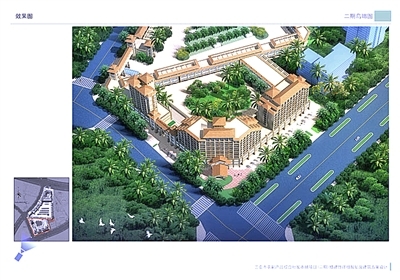 The existing Honggang Market is set to be relocated to a new site at Jiyang Town in Sanya following the government’s decision to approve plans to build the city’s largest comprehensive agricultural byproducts market. Over 300 tons of vegetables, 100 tons of fruits and 1.5 tons of seafood are being handled daily by the existing market and residents, tourists and traders face lots of inconvenience due to limited space and poor maintenance. Compared to the existing market, which has been operating from its current location since 1996, the new one will be equipped with a range of facilities such as supermarkets, shopping centers and hotels for residents as well as a more modern environment providing better agricultural products. The new market will cover a construction land area of 107 hectares and be built at an estimated cost of 500 million yuan, providing over a thousand booths for traders.